More than 150 scientists contacted Nature with their personal stories following coverage of an international survey showing evidence of a mental-health crisis in graduate education (T. M. Evans et al. Nature Biotechnol. 36, 282–284; 2018). 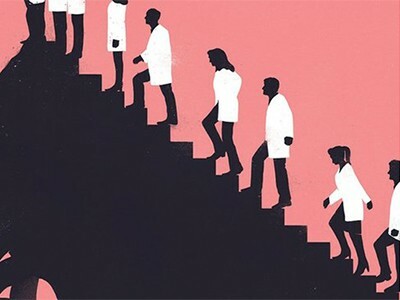 To kick off a series on mental health in academia, we talked to five people on the front lines of science who were willing to share their insights and discuss how changes to the culture might help. Next week, we will profile four scientists who have experienced severe depression and its career consequences. And the week after that, we’ll examine health in labs, and ask what kinds of lessons can be learnt from other sectors. 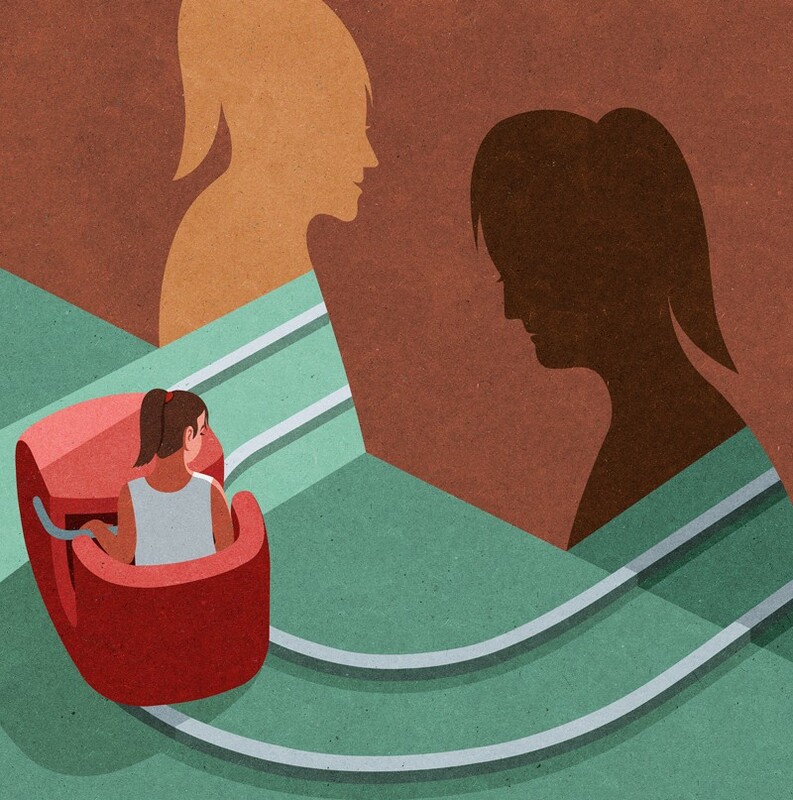 I was hospitalized for depression in 2017 — and there I learnt the importance of having a support network. It makes your struggles a little bit easier if you have a community. I’ve reached out to people on campus, but I also found a community thanks to the Cheeky Scientist Association (CSA), a group based in Liberty Lake, Washington, that was created by careers consultant Isaiah Hankel to provide advice and support to researchers worldwide. The CSA posts a lot of success stories, and reminds its members of the value of a PhD. It’s been a big help and a huge source of comfort. I see a therapist weekly. When I walk in, I’m always in a great mood. My therapist validates my emotions and reminds me that I’m mostly struggling against a flawed system, not with a personality flaw. Their continuous encouragement has helped me to focus on finishing my dissertation and keeping my head in the game. Graduate students are suffering, and they need help. We have fantastic mental-health services on this campus, but a lot of students are hesitant to use them. Some are worried about costs, but they might be surprised. My weekly sessions on campus, for example, are 100% covered by student insurance. Likewise, some students might not want to raise concerns about their adviser or their department out of fear of retaliation. I’ve been warned not to bite the hand that feeds me. As president of the campus Graduate Engineering Association, I’m trying to create a sense of community and encourage people to get out of the lab. We threw the first graduate engineering formal in April 2017 at an upscale hotel on campus. There was a DJ, a professional photographer and even a red carpet. We got a huge response. We also have professional-development events. People from industry come here and help us to go over our CVs. We’re going through this together. Like a lot of other students, I struggle with work–life balance. I’ve faced some criticism for devoting time to my leadership role with the Graduate Engineering Association. But, thanks to my support networks, I have the confidence to be more assertive about my choices. I know where my anxiety comes from. Last year, I had a paper come out (V. L. Butitta et al. Ecosphere 8, e01941; 2017). It was well received and got a lot of attention on Twitter. It was the first time I felt like I was actually doing science, not just playing a part. But then, everything died down. Sometimes I go online to get a figure from my paper, and see that there aren’t any new citations. I feel like I’m shouting into the void. I still struggle with that particular brand of anxiety, but I’m doing what I can to help other students who might feel the same way. When I see a paper that I find interesting, I make sure to send the author an e-mail or message them on Twitter. I say: “I just read your paper — it helped me with some concepts. I look forward to seeing your future work.” It lets people know that they have worth. That sort of support doesn’t have to come from superiors. Those messages might help others, but they’re also great for me. I connect with other researchers, and when I’m at a conference, someone might recognize my name tag because we’ve interacted on Twitter. My paper still doesn’t have a lot of citations, but I was invited by a session organizer to speak at an annual meeting of the International Association for Landscape Ecology last month in Chicago, Illinois, because she saw my paper on Twitter. Knowing that someone thought the paper was good enough for a conference gave me a greater sense of satisfaction than did publishing it in the first place. I’m passionate about protecting and supporting the mental health of early-career researchers. I received my PhD just two years ago, and many people in my life are graduate students or are working with students. I have a personal, emotional connection to their struggles. There’s an enormous waste of talent and resources that we’re not addressing. The research culture lies at the core of many scientists’ mental-health issues. The environment is hyper-competitive, and the path for success is almost impossibly narrow. That’s a scenario that breeds anxiety and depression. People want to produce as much research and as many papers as possible. Anything that takes away from that can make life more difficult. It is a situation where everyone is pursuing a goal that’s almost impossible to reach — the next grant, the next fellowship, the next position. I’m part of the policy working group for an international professional network called the Marie Curie Alumni Association. I’d like the working group to have a new mission: aligning the incentives and rewards of science with the type of work and productivity that we really want to see. We need to better reward non-traditional outcomes, such as data sets, research methods and code. And we need to better appreciate activities outside of the lab, such as public engagement, education and outreach. That’s the way towards achieving substantial and lasting change. We also need to encourage students to pursue career prospects both in and out of academia. It’s amazing to me how prevalent the belief is that the right path forward is the tenure-track position. People talk about alternative career paths, but too often with the connotation that it’s for people who didn’t make the cut. As a scientist, I’m also interested in the evidence. We need to do more to map and monitor the situation. The few studies that have addressed mental-health issues among graduate students had alarming results, but the message isn’t getting out. There are still schools that believe they don’t have a problem. But anyone who works with graduate students on a day-to-day basis knows that mental-health issues are very prevalent. For me, and for a lot of people I work with, the whole point of science is to make the world better in some sense. I’m trying to develop new materials as a scientist, but I’m also trying to understand our research culture and how we can improve it. I think it starts with leadership style. If you can create a local environment in your research group or your department that supports talking about these issues and working on ways to improve them, you can have a big and immediate impact. We want people to do good research, and we need them to be healthy. Sometimes I question my worth to society, and this doubt has added to my feelings of depression. Everyone is publishing and publishing because that’s where the money in science comes from. But if everyone is publishing and nobody is reading, are we making a contribution? Are we really doing anything important? There’s an excellent service at my university that offers therapy and counselling. You don’t have to wait long for an appointment, and they are very familiar with the worries of academics. I’ve met doctors in the past who didn’t seem very interested in the stress that I was feeling. But now, there seems to be more awareness. If we want to talk about depression and mental health, we must acknowledge the progress that has already been made. Before I started my PhD programme, I did some science communication and education, and that really gave me a sense of satisfaction and validation. We’d take children and their parents to a mobile lab to learn about the North Sea. That’s something everyone can relate to. They get really interested in science, and it’s not the type of science that comes from a journal. What do you get from a journal? You submit an article, then you get rejected multiple times. Eventually it’s accepted, and you move on to the next thing. Unless you get published in a very prestigious journal or get a lot of citations, it can feel like a downer, even though you accomplished what you were supposed to accomplish. I would encourage other students to think about what they really want from a PhD. Sort things out for yourself. Talk to people who are important in your personal and professional life, and don’t forget to work out. And try to have a life outside the lab. Our charity works with about 120 universities across the United Kingdom. We equip students to cope with graduate school whether or not they’ve been diagnosed with a mental-health issue. We have training programmes with university staff members. We want staff members to be able to listen, but they shouldn’t be the only source of support for every student. Our main goal is to make sure that every university has a strategic response to mental health. We support the recommendations of the #stepchange framework, which was launched by Universities UK in 2017 to help improve the mental health of students and faculty members in higher education. Universities must look at their needs and have a specific plan of action to make sure everyone has access to support and treatment. When the mental-health charity Student Minds started in 2009, many universities denied that they had a mental-health problem on their campus. But the conversation has changed. Now, universities say, ‘We know we need to do something, but’s what the right thing to do?’. Students also have to look after each other. It’s common for people to tell their peers about their troubles but no one else. A 2014 UK study by the Equality Challenge Unit found that 75% of students with mental-health challenges disclosed the issue to peers. But according to the Health Education Statistics Agency, only about 3% of all students in the 2016–17 academic year formally reported a mental-health issue to their university. As the discussion continues, hopefully more students will feel comfortable reaching out to supervisors and administrators. People don’t recognize that students have a different experience from other young people. When it comes to National Health Service funding, Student Minds is one of a few groups trying to get more student-health-care models. 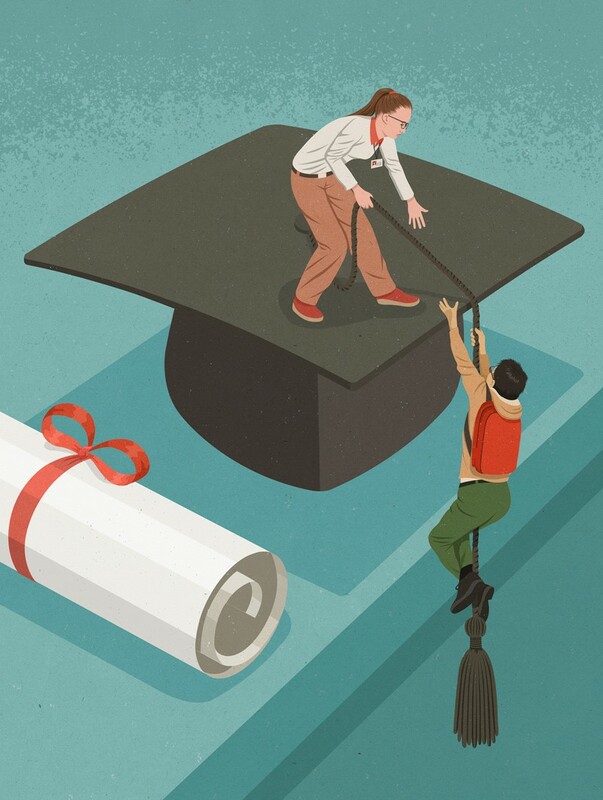 There’s a misconception that students are privileged and don’t need extra support. I had my own mental-health concerns as a student, and while I’m much better now, I know how mental health can affect everything. Once you see it, you can’t unsee it. University should be a place where someone can thrive regardless of anxiety or depression. If you have the right support, you can have a diagnosis and still do well. If that support isn’t there, you can have no diagnosis and still be stressed. Staff should see university as an opportunity to support people and set them up for their future. If you can help them at university, you’re setting them up for a win.